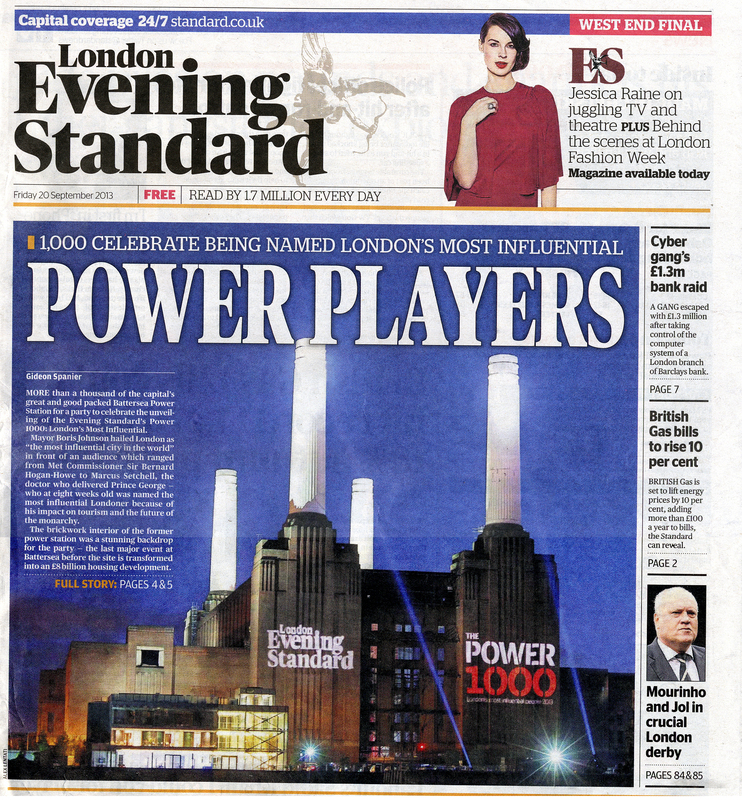 To start with, a few months ago the London Evening Standard proudly presented their collaboration with the owners of the Battersea Power Station on the ‘The Power 1000 – London’s most influential people 2013‘. The endangered building was used as a backdrop for the party, no one seemed to be scared of the chimneys collapsing on them, even though the Standard had previously reported that they must be unsafe. 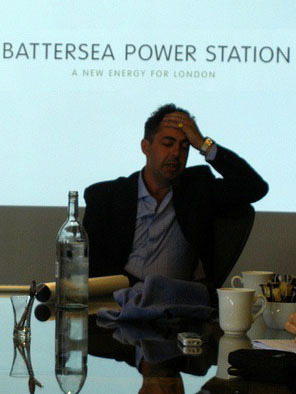 The uncritical, back slapping love-in was topped with speeches from Boris Johnson, Mayor of London, Sarah Sands, Evening Standard Editor and Rob Tincknell, Battersea Power Station chief executive. And in the 13th November edition about ‘Battersea’s rebirth’ they enthusiastically trumpet the ‘creation of a completely new district where none existed before’. Wandsworth Tory Leader Ravi Govindia claimed the area will “change faster and more dramatically than any other part of London”- perhaps but maybe not for the better. 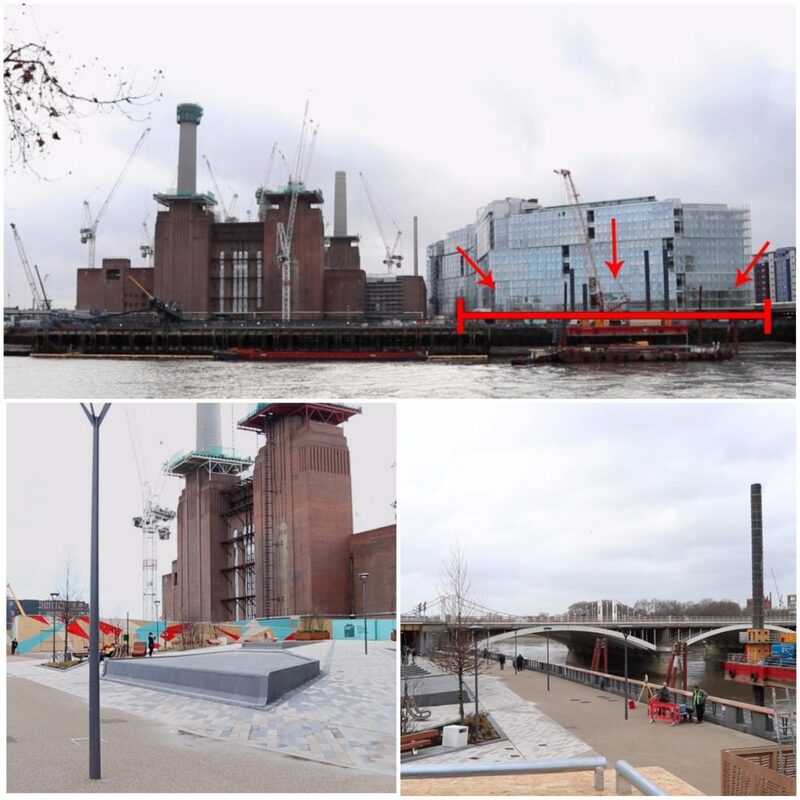 As is their custom the owners of Battersea Power Station attempted to deflect the mounting criticism of their plans to demolish the chimneys by wheeling out their gimmicky use of the top of the chimneys, this time not for a single table restaurant, but a viewing platform. 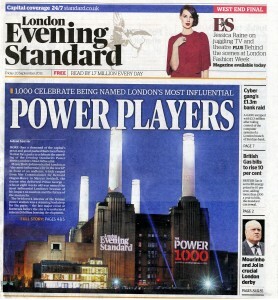 Don’t expect the Evening Standard to be digging too deep, or indeed reporting at all, on the controversies surrounding the Power Station demolitions. ”Your report about the appointment of Foster and Gehry to the Battersea Power Station project hits the nail on the head. (AJ web site 23rd October.) 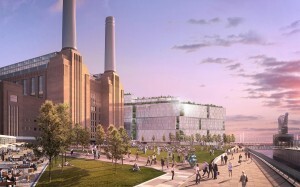 New buildings on the Battersea Power Station site would certainly be highly visible “… from passing commuter trains”. 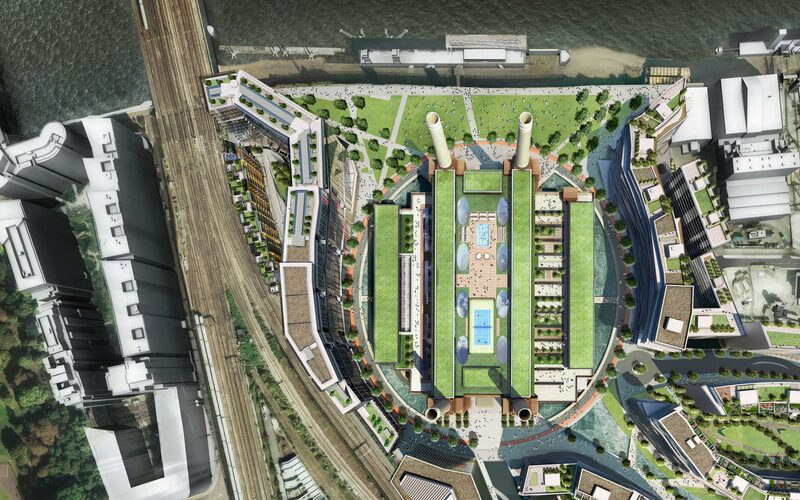 The one thing you won’t see of course will be Battersea Power Station itself, which would be obscured by thousands of new flats in blocks up to 18 storeys high, to be built as part of the Viñoly master plan. This would be a very great shame given the evident pleasure that commuters and visitors to London derive from seeing Battersea Power Station from the train: certainly to judge by the number of people who take photographs as they go by and then post them on Twitter and Instagram. The truth is that the Viñoly master plan is fatally flawed. This is because the quantum of development it foresees will destroy Battersea Power Station’s significance as an urban landmark. It really doesn’t matter how distinguished the architects are who design individual buildings. 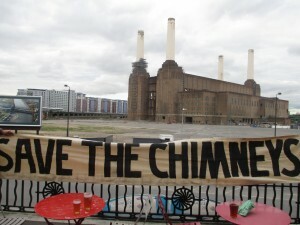 No good will happen at Battersea until the master plan itself is ditched. 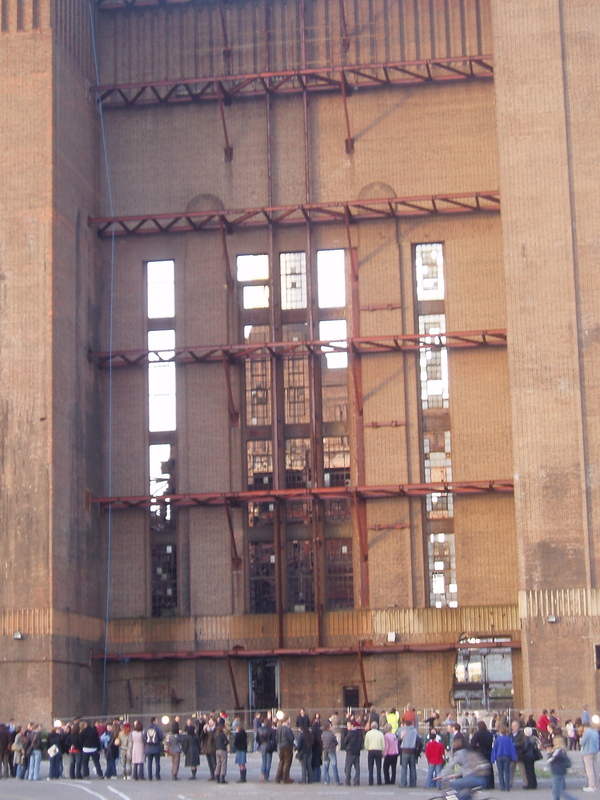 Indeed, rather than allowing new commercial buildings to proceed before Battersea Power Station is repaired, nothing should happen on the site until the future of the Grade II* listed building is itself secured. In that regard, Foster & Gehry would be better employed working alongside Wilkinson Eyre on Battersea Power Station itself, rather than in designing new buildings adjacent. 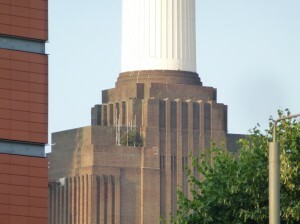 Part of the reason why the current scheme for Battersea Power Station is so wildly off beam is that its underlying premise is to fund the repairs to the listed building from the proceeds of surrounding commercial development. 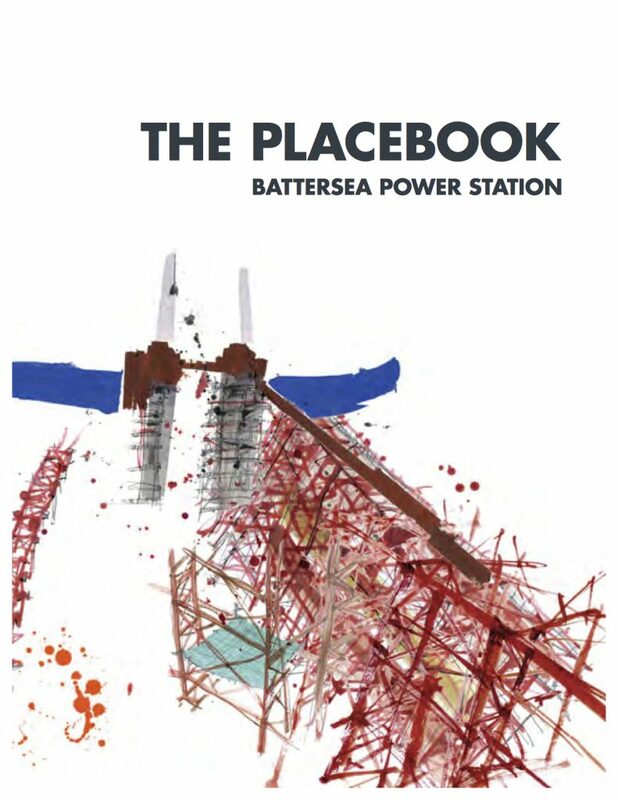 But if the resulting over-scaled buildings destroy the significance of Battersea Power Station as a urban landmark – as they surely will – then what’s the point? 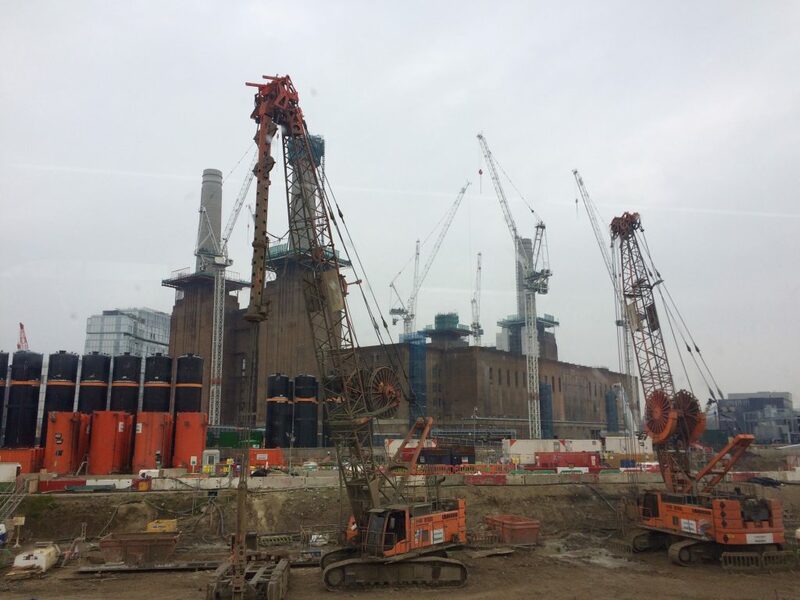 It would be far better to transfer ownership of Battersea Power Station to a public interest trust and to repair the building with funds from the Lottery. Rob Tincknell should agree to this: it relieves the consortium of the responsibility of looking after the listed building – something they are plainly not interested in – and lets them get on with the job of making a return for their investors. The consortium would develop the surrounding site (in a manner that respects the monumentality of the listed building and preserves key views e.g. from the railway viaduct) and would have a lease from the trust for use of the unlisted parts of Battersea Power Station itself, i.e. most of it. As a quid pro quo for the use of Lottery money, the public would have free access to the listed interiors which could be used for any number of educationally or culturally uplifting pursuits. This seems like the basis of an equitable settlement to me. What is needed is an organisation to take it forward. 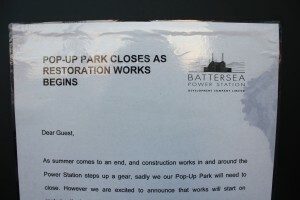 For too long, English Heritage has stood on the sidelines whilst the situation at Battersea Power Station has descended in to black farce. As the government’s advisor on the historic environment, it should be their responsibility to rescue the building from the fate that currently awaits it and to pursue a civilised alternative based on trust ownership. See Merlin Fulcher’s original article that provoked Keith’s comments. A picture of what is believed to be Buddleia growing beneath Battersea Power Station’s south east chimney taken earlier this month shows the continued degradation of the grade 2 listed building. English Heritage seem to be blasé about the upkeep of the iconic building, having allowed such a large plant to take hold amongst the scaffolding. Sime Darby, the Malaysian Company who bought the aging building earlier this year, finalised the contract last night. With their plans to regenerate the power station set to start within months. Despite Sime Darby’s history of global deforestation ( see Friends of the Earth report) in relation to their Palm Oil business, they have had put little effort into the removal of this particular plant. 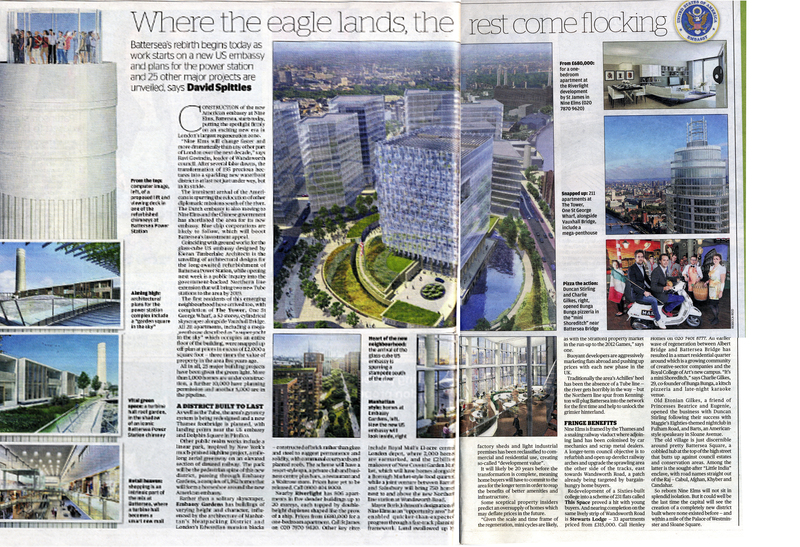 Tan Sri Liew Kee Sin, leader of the consortium, has claimed that the regeneration will produce up to 26,000 jobs. But how long will these jobs remain, and at what expense to the power station itself will this take over cause? Tan Sri Liew Kee Sin claims they will build “a vibrant, accessible and functional town centre for Vauxhall, Nine Elms, Battersea area”. A town centre completely privately owned. We aim to interview English Heritage about Battersea Power Station, do you have any questions you want posing to them? Property firm REO, whose portfolio includes Battersea Power Station, owes millions of euro to its banks, and to the Irish taxpayer. The company owes a total of €2bn to its banks. This includes nearly €1bn owed to Nama, Ireland’s National Asset Management Agency – set up by the Irish government to take on the debts of banks bailed out in the financial crisis. With a property portfolio valued at €1.3bn (including the Battersea site, whose valuation is problematic in itself), the company’s debts now far outstrip its assets. That’s not the end of REO’s problems: it recorded a pre-tax loss of £900m for the 14 months to February 2010. 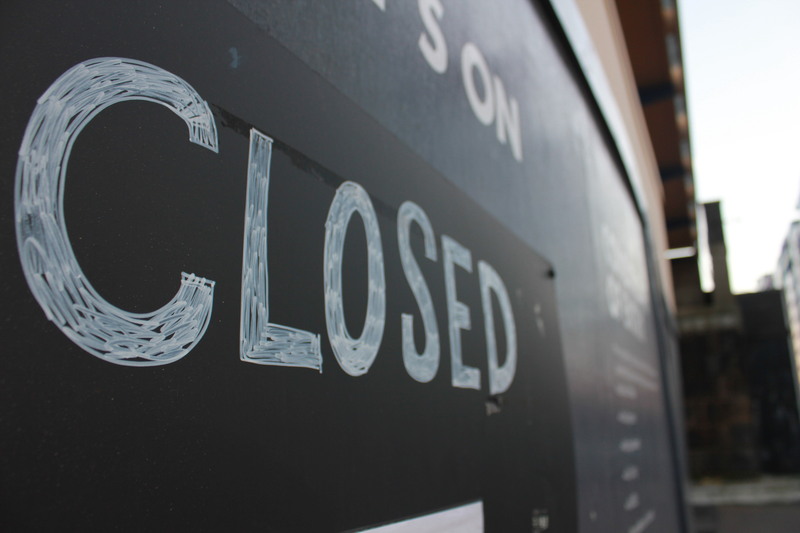 The announcement of those accounts, in June this year, caused a 50% fall in the company’s share price, taking it down to just 8 pence per share, and a market value below £40m. The company is not in good financial health. 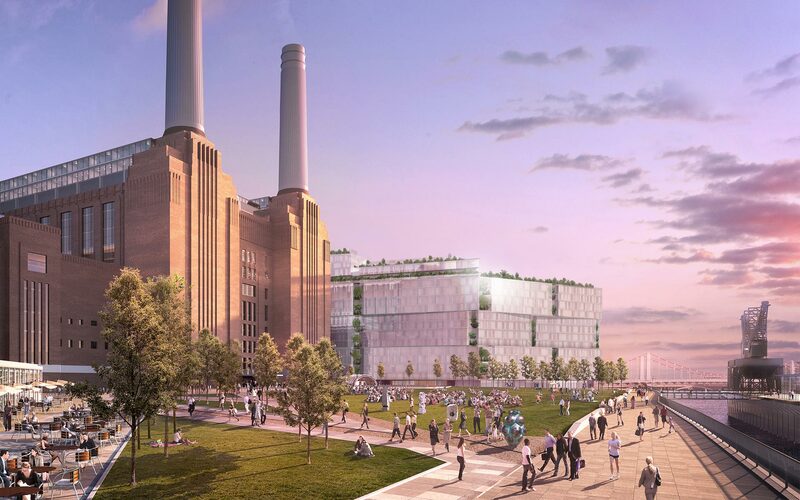 So it’s perhaps not surprising that REO are looking to separate the potentially lucrative Battersea Power Station site from the company as a whole. 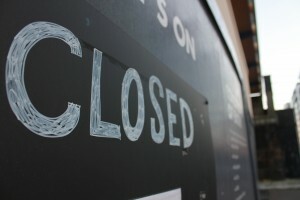 They hope to draw off the property into a separate company, and list it on the stock market before the end of the year. Investment partners are being sought to help fund the project, with international property groups and Middle Eastern wealth funds thought to be expressing interest. 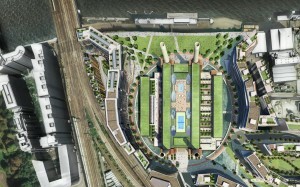 But these grand plans could be brought to a halt if Wandsworth Borough Council decide not to grant planning permission. Elsewhere on the Spectacle Blog you can find out more about the historical preservation groups who are opposing the developer’s plans for the site. You can also watch our interview with Alex Baldwin of the Victorian Society and other clips about the power station in the Spectacle video archive.